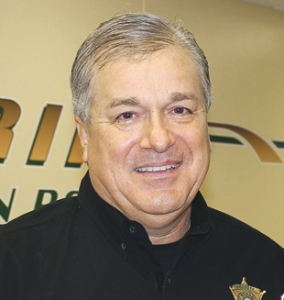 BATON ROUGE — East Baton Rouge Parish Sheriff Sid Gautreaux will speak Tuesday, Sept. 24 before the monthly luncheon of the Chamber of Commerce of East Baton Rouge. Sheriff Gautreaux will discuss the operations of his office and the proposed property tax renewal on the Oct. 19 election ballot. He will answer questions from the audience and the media. The Chamber EBR meeting will be held this Tuesday at Café Américain, 7521 Jefferson Hwy. The reception begins at 11:30 and lunch at 12 noon. Candidates for Justice of the Peace in Ward 3 in a special election Oct. 19 will also speak. The meeting is open to business owners, guests, and members of the media. Business owners who wish to join the Chamber EBR should sign up at the Membership Table. Annual dues are $150. For more information, go to www.ChamberEBR.com. The luncheon, which is open to any business owner, including non-members, costs $15. There is no charge for working members of the media.